That became a tragic reality in May 2013 when she was on assignment in Kabul, Afghanistan, for her employer, United Nations’ World Food Programme (WFP). One of her good friends, a woman from Italy who worked for the International Organization for Migration (IOM), suffered severe burns when suicide bombers set off an explosion outside a compound that housed IOM in Kabul. Danger comes with the territory for aid workers, even GIS professionals like Senadheera who was in Kabul to help organize and manage WFP’s geographic information system and infrastructure and train its staff to use GIS. Though they often work indoors on computers, standardizing and analyzing data or training colleagues how to use geospatial technology, they are sometimes called upon to work in the field in less than hospitable conditions. Even inside compounds protected by security details, there’s no such thing as absolute security. For her GIS work for WFP under such dangerous conditions, Esri president Jack Dangermond called Senadheera a “real hero” and presented her with a Making a Difference Award at the 2013 Esri UC. 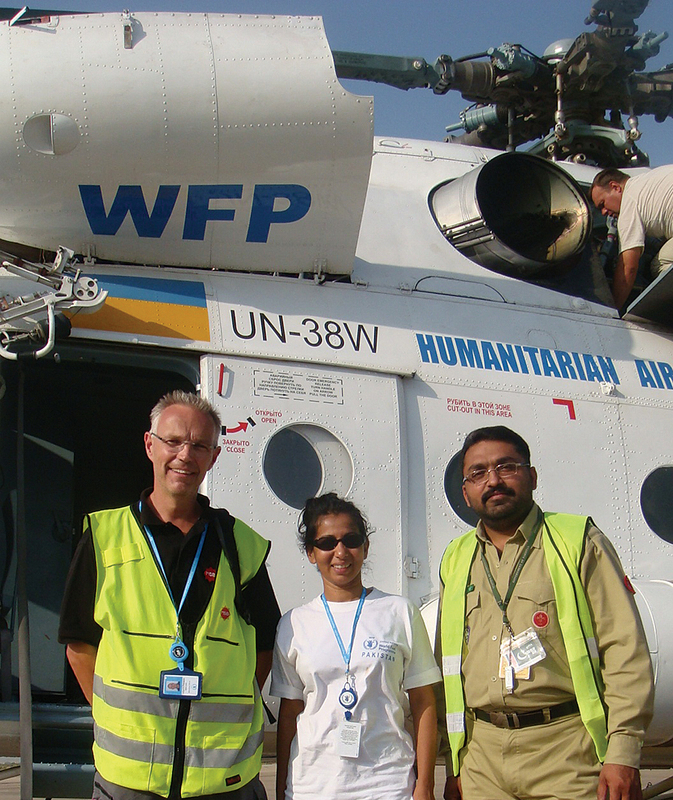 Senadheera, who grew up in Sri Lanka, accepts the risks inherent in her assignments for WFP, a nongovernmental organization where she has worked for the better part of the last 13 years. There’s passion in her voice when she talks about the value geospatial technology brings to the mission of feeding people mired in poverty or displaced by a natural disaster or a conflict. WFP uses GIS in several ways, including for food security analysis—identifying who does not have access to enough nutritious food and the underlying causes of hunger in a region. The organization’s VAM unit does this work. Part of Senadheera’s job involves training WFP’s national staff to use GIS. She also helps to standardize available spatial data and analyzes and maps the information using Esri ArcGIS. The mapping technology helps WFP identify who needs food assistance (such as malnourished children or disaster victims), where they live, how to safely route the food to the people, and what areas of the country are vulnerable to natural disasters or conflicts. 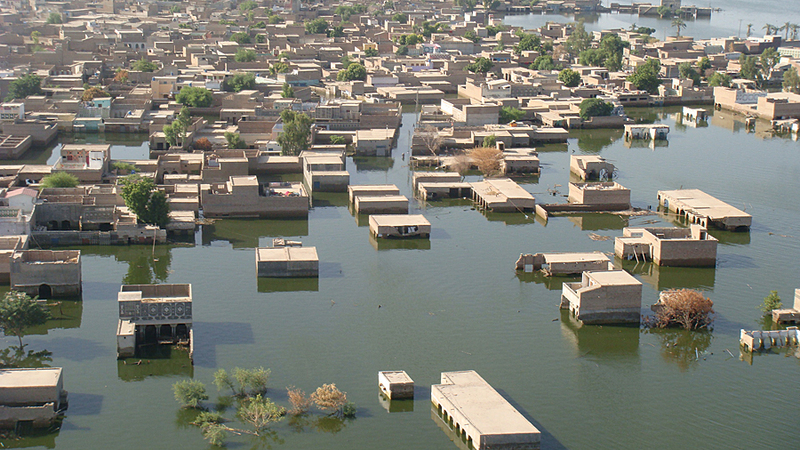 WFP often steps in to help during a crisis and needs to know, quickly, what areas will likely be the hardest hit. 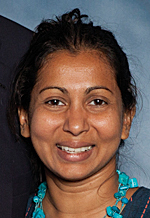 She graduated with a bachelor’s degree in geography from the University of Colombo in Sri Lanka in 1995 and soon went to work for the Esri distributor in Sri Lanka. After working briefly for the Asian Development Bank, she received a 15-day contract with WFP in 2000 to analyze World Health Organization data and map where malnourished people, especially children, were living in Sri Lanka. She used Esri software to analyze the data and create the maps, which helped WFP deliver food to the neediest people in the country.